A specialist sliding head machining subcontracting firm founded in 2011, it produces precision components predominantly for the aerospace sector and has grown and developed quickly. Nick Street, Managing Director of Trust Precision Engineering, said: “The amount of components we were producing meant we were struggling to keep up with the amount of inspections we would like to have done on a component. There was an obvious need for extra equipment. “I already had a piece of measuring equipment capable for our requirements when we originally started, so we went back to the supplier to see what they had. “They demonstrated their shaft measuring machine, which appeared fine, but we decided against it after visiting a high-end medical customer. Using this equipment they’d struggled with gauge repeatability and reproducibility so only used it on more basic components, and they’d already had to upgrade. 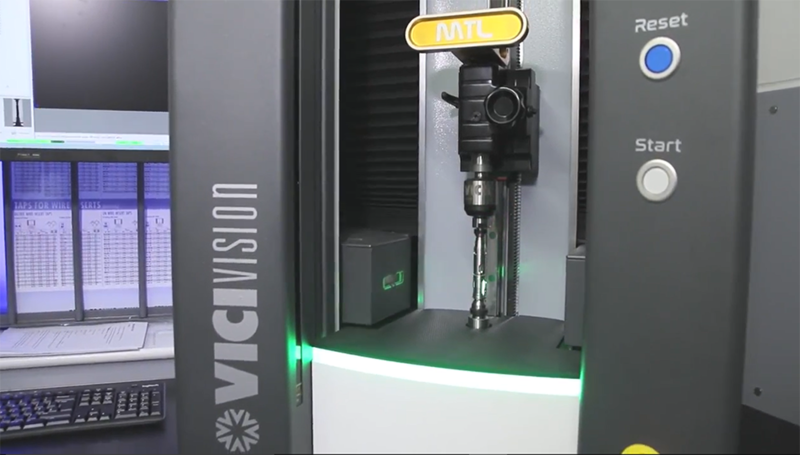 Trust Precision Engineering currently has two M304 Techno machines, which provide benchmark reliability in measuring cylindrical parts and enable fast and efficient batch changing. He added: “Non-conforming components were becoming too frequent internally because we just couldn’t keep up with the inspection. “What I’ve seen over the years is you can get so focused on a particular critical dimension or area of a component that sometimes something less critical goes under the radar and ends up being wrong, whereas with VICIVISION you check everything externally and nothing gets missed. Mr Street said: “After a year we moved our old VICIVISION out and bought the two brand new ones to go in the new inspection room. They really are fantastic pieces of equipment and mean every dimension of a part is checked – there’s nothing left to chance.